So, I notice there hasn't been much talk regarding new chapters...is the series on hiatus? I know I haven't been around much (my apologies), but I was just wondering what was going on. There is the cover of this months Ace, not sure if it's a good or bad sign. I couldn't make much sense of the Chinese Web page once it was translated! Im hoping for more guyver soon, I don't think they would be releasing figures if there was any debate over the continuation of the manga, i think the two go hand in hand. 016/07/25 13:39 (Part 2 ) I saw a boy Ace September . ( Hiatuses this month ) In Shonen Ace magazine has been announced that " to some time hiatuses by convenience." Only wait for the resumption . After , was in the other day article , but is the sale of e-books on the kindle, it has now become a " point 93 percent reduction" . In ebookjapan, " 10 yen whole volume " seems to date as planned . So no Guyver this month I'm hoping this is because Takaya is training someone or is involved in the Figma creation. Yep that says the Guyver is on hiatus until further notice. Would be great if we get 30 pages (you know, the average for any other monthly manga) upon its return but we all know its gonna be 10 pages again. I actually loathe this Mangaka now. His laziness is an utter pisstake. I'm frustrated with Takaya's output as well but I think calling him lazy is a bit far. He put out an ad requesting an assistant a while ago ( a position that seems unlikely to have been filled), and that suggests to me that he is aware of his small output and wants to remedy it. Guyver is a complex manga to draw - I'm sure Takaya regrets designing such difficult to draw characters, and the fact that he's around 50 now must mean that he is getting pretty tired. This series is hard to maintain an itnerest in when we're drip fed the story, but I'm trying to appreciate how difficult it must be to produce. That said, I do have the utmost confidence that Takaya knows where it's going - Draglord's silhouette was seen in volume 11, a whopping 10~ years before it made it's actual appearance. There's no way he's winging it to the end. i've just had a thought, possible but slightly unlikely, could you imagine that the next few chapters would be packaged with the new figma's? its a nice thought anyway. I don't think they would do something as risky as restricting access to the new chapter to just the people who are willing to drop a load of money on figmas. That doesn't mean they might not ever release a figure with a tankobon again though, as they did with book 21. I appreciate what you're saying but MANY mangaka's are in their 50's now and are still pumping work out. He advertised for an assistant for months on end probably because he wants to increase page count but even then, a full-time manga artist (Which he is) can easily draw 10 pages in a day. That's the business. An assistant would only be drawing backgrounds anyway as there's no way they would be entrusted with drawing the main characters. He's been aware of his crappy output for years but he's not in any rush to remedy it. This is his only source of income so why hurry to cut off his living? Sorry, I get where you're coming from, I really do but, Takaya IS lazy. And he knows it. He only needs to look at the amount of work his peers (that are around his age or older) are producing to know he's dragging his feet too much. 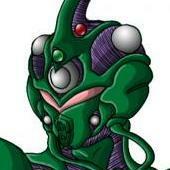 Hi, I just joined the forum so please pardon my noob status, though I have been following Guyver for several years. While I wouldn't called the mangka lazy, I definitely understand your point. Kousuke Fujishima, the mangaka of Ah! My Goddess, started his series only two years after Takaya started Guyver yet he just recently ended his long running series at volume 49. I think that illustrates your point about his work ethic since Fujishima isn't a spring chicken either by any means yet he has created many other series and has also done designs for the Tales series etc. Isn't Guyver still in the low 30s? For a series that started in 1985 and is still only in the 30s in 2016, while a series started two years later is finished in 2015 at volume 49 paints a pretty detailed picture. Then again, that is just my two cents. Even Berserk, (which commonly gets compared to Guyver since they both have similar release schedules) started 4-5 years later (1989/90) and has a creator who takes large chunks of time off as well (more than Takaya)... still releases 20+ page chapters when he does release, and is already at volume 38. At Takaya's current speed... To get to volume 38 of Guyver... We're looking probably 7-8 years. Let's hope whatever this assistant does, it involves magic and/or witchcraft in order to get this thing running smoothly again. As an artist with mental health problems, I am entirely familiar with how output can fall short of demand. I'm grateful for what Takaya content I get to enjoy, especially as a fan who can't buy or order his work in a high street shop. I don't see it as any of my business whether his peak output of sixteen pages per month is due to his personality or his work ethic or his health or any other cause. If someone complained on one of my project blogs that they don't get regular large updates to look at for free on the Internet, it certainly would not inspire me to pull my socks up and hire an assistant sculptor. Takaya has been a Professional Manga artist for 30 years, with both a legitimate publisher, international releases, and even multiple animations made from his work. It's a little different for him when people are complaining about his output when people have to pay money for his releases ( again, there are a lot of people here PAYING for the content as well as in Japan itself). The sense of entitlement that comes from this may not always be rational... But for people who have bought 32 volumes of manga with the hope that they will actually see it end? It is kind of warranted in some cases. Now Takaya did say that he was very aware that people want to see this series finished, and hopefully this downtime is related to this... But since they never actually tell us why there is a hiatus, we are left to wonder just why it is happening. 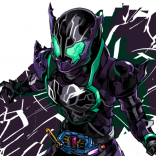 For instance, when he put Guyver on hiatus a few years ago to finish off an old old manga series he did in the past called Hades Project Zeorymer... We didn't find out until later from another publication as to what "Chimi Morio" ( his pen name) was up to. So while I do agree that people who are expecting free manga shouldn't be complaining very much, there are those who do pay for it, and you can't always assume people are reading it for free. And when crap like this happens, complaining/speculation is pretty much always a given. If someone complained on one of my project blogs that they don't get regular large updates to look at for free on the Internet, it certainly would not inspire me to pull my socks up and hire an assistant sculptor. Due to the system adopted on this site, pretty much nobody reads it here for free. It's only available to people who buy the books. Also, I buy Shonen Ace every month it comes out and I've been burned 3 times too many now by the "Guyver will continue next month" only to take the magazine home and discover there's no Guyver at all. So yeah, people here are invested financially in the story so whinging about the slow pace is very much ok as far as I'm concerned. I know I buy the tanks as they come out and have all 32 volumes of one uniform set, the earlier 15 initial versions and the US Viz ones (7 volumes) and I have bought a few actual Shonen Captain and Ace books for covers and all, so I have invested heavily in this manga. Add to it all of the other figures and such, it is a hefty amount. LOL... while I like most am disappointed by the lack of apparent output by Takaya, I still have hope that we will all get a satisfying and awesome ending to what I feel is one of the greatest mangas ever made. The reason most complain on this site is not just due to financial investment, but time and emotional attachment to it as well. As the top of the site say... "We love Guyver!" As a fan from the US, it is already a doomed thing as it's way past it's prime here. You can't go to a comic shop or convention and randomly find cool Guyver stuff. As a semi comic pro, I attend a lot of cons and SELDOM at best do you ever see anything Guyver. So, we all wait patiently for the monthly releases, hoping for an eventual ending that will tie it all up as pretty as it began. I just hope we get to see a Guyver Zoalord fusion (that was hinted early on) before it's all over. My fanfic ending thoughts 10+ years ago was Murakami turning back to the side of good and then fusing with Sho's removed Guyver unit to take on Archanfel in an epic finale battle. That would be a great ending. I wonder if he has even decided where and how it's going to end, it could still be undecided! Any updates with new chapters? Like is Takaya dying or he ran out of ideas? When was the last new chapter? Totally lost out on what was going on. It's officially on "Hiatus" which basically means he's a) working on something else b) training the new intern (we can only pray it's this and we'll get LOADs of new stuff after) c) taking a break. Judging by the Chinese fans we've another month of waiting to find out at least. I hope it isn't due to health issues or anything like that. I really want to know what's going to happen next. I need my Guyver fix! 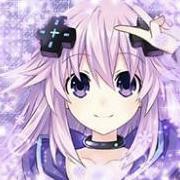 when was the last chapter release? The last chapter was released at the end of April 2016, but is listed as "June 2016" due to the way the magazines are dated.